Harare City Council has reportedly destroyed several house constructed by the Old Mutual close to Eastlea amid revelations most of the structures were build illegal. According to sources the houses were destroyed midnight yesterday much to the surprise of the residents amid accusations that some war veterans were behind the demolitions. 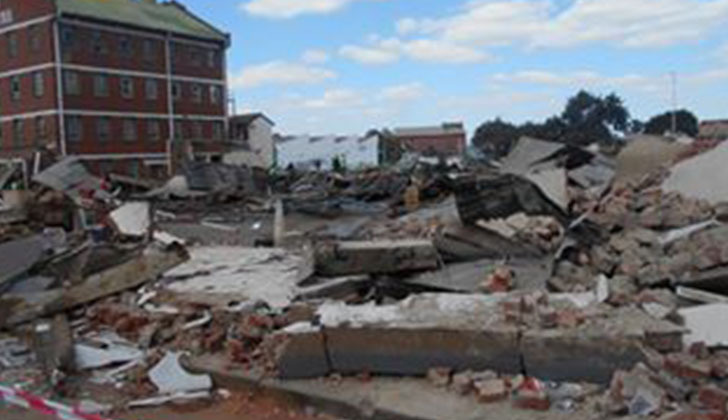 Some of the houses were build by the Old Mutual and the council deemed them as illegal structures.Harare residents Trust said the demolitions were at the instigation of Old Mutual, in collaboration with the City of Harare.